New Century Global Centre is a multipurpose building in Chengdu, China. The building has 1,700,000 square meters of floor space, making it the world’s biggest building measured by floor space. It is half a million square feet larger than the former title holder, Dubai’s International Airport Terminal 3. It is 3 times the size of the Pentagon. The Boeing Everett Factory in Everett, Washington has the largest volume, and the Aalsmeer Flower Auction Building in Aalsmeer, Netherlands, has the largest footprint. Nearly 400,000 square meters of the building will be devoted to shopping. It will also house offices, conference rooms, a university complex, two commercial centers, hotels, an IMAX cinema, a “Mediterranean village”, a pirate ship, a skating rink and a 5,000 square meter artificial beach. The building was designed by award-winning British-Iraqi architect Zaha Hadid. 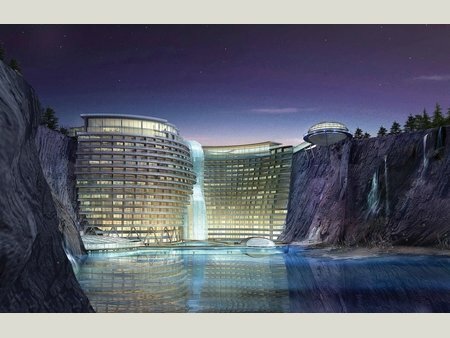 The Intercontinental Hotel will feature 1,009 rooms that are spread over 6 x 8 story blocks around the edge of the complex. While parts of the shopping area are open, the main opening is planned for 22 August 2013. Oscar Niemeyer (1907-2012) was best known for his design of civic buildings for Brasília, a planned city which became Brazil’s capital in 1960, as well as his collaboration with other architects on the United Nations Headquarters in New York City. Niemeyer’s first major project was the design of a series of buildings for Pampulha, a planned suburb north of Belo Horizonte. His work, especially on the Church of Saint Francis of Assisi, received critical acclaim, and drew Niemeyer international attention. Throughout the 1940s and 1950s, Niemeyer became one of Brazil’s most prolific architects, designing a range of buildings both within the country and overseas. He received the Pritzker Architecture Prize in 1988. I hope this idea gets adopted on a more widespread basis. Reducing storm water runnoff and reducing heat in the city are nice. But I really think it just provides a wonderful living space which is even more important. The winning architectural team includes Paul Rice, Hu Yali, Zhang Jian and Ding Fang from Atkins Shanghai led by Martin Jochman from Atkins in Bristol. The building is under construction with an expected completion in 2013 or 2014. Mies van der Rohe was born in Germany and moved to the USA during his career as an Architect. He was known for stripping down design to the minimal structure needed. Examples of his architecture include: Farnsworth House, Seagram Building, Martin Luther King Jr. Memorial Library, and the Neue Nationalgalerie at the Kulturforum is a museum for modern art in Berlin. In addition to buildings he designed furniture including, the Barcelona chair, the Brno chair, and the Tugendhat chair. 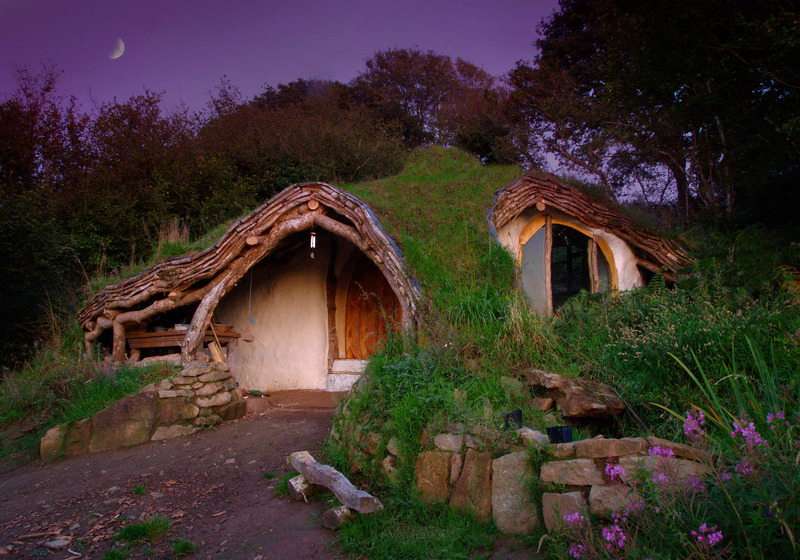 The Ekinoid Project, based near St. Austell, Cornwall, UK, envisions homes designed to ideally be fabricated using no expert knowledge or skills. The homes will suit a family of three or four, and will take under one week to build. Ideally, the main structure should last over 100 years and then be recycled. Structurally light yet exceptionally strong, the Ekinoid home will very significantly reduce raw material requirements, and will free up the land underneath; it will allow occupants to fulfil their own power needs (and meet their requirements for potable water and in-house sewage treatment; and some of their food needs). 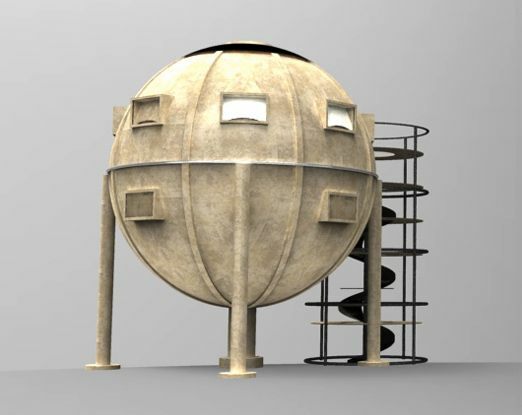 The plan is to build homes, having a spherical frame (steel or possibly Glulam), will be extremely strong, robust and light. The Ekinoid Project is seeking active, ongoing collaborations with one or more universities. We want to forge partnerships (in industry and) with universities regarding architectural, structural engineering and materials solutions, and we want to involve product designers, graphic designers, 3D-graphics artists, town planners etc. The project seems a bit ambitious to me. I doubt full towns will be built. But ambition is good. Maybe I am wrong. Even if the project doesn’t achieve that goal, innovative attempts to provide housing solutions are worthy of time and effort. Using some flexible designing ideas this 450 square foot apartment is made into a full home. As with all these types of efforts space is used in multiple ways depending on the configuration of the movable walls and furniture. It is great to see the livable spaces that can be created with some imagination and good ideas. The $70,000 bill is not cheap but in high cost areas (New York City, Tokyo, London…) that really isn’t a huge amount considering the real estate costs (owning or renting). 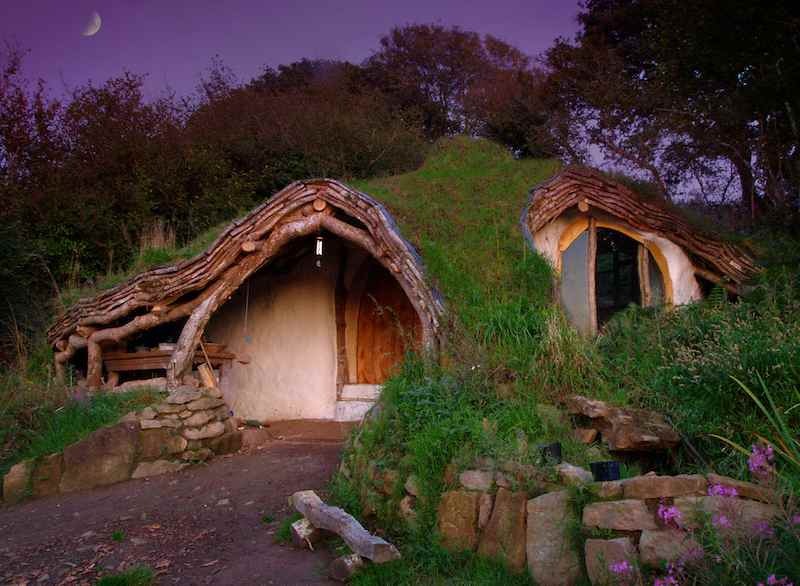 This site includes details on the process of building a wonderfully distinct woodland house in Wales, that is environmentally friendly. It was built by myself and my father in law with help from passers by and visiting friends. 4 months after starting we were moved in and cosy. I estimate 1000-1500 man hours and £3000 put in to this point. Stone and mud from diggings used for retaining walls, foundations etc. Fantastic stuff. Read more about how they did it and why. 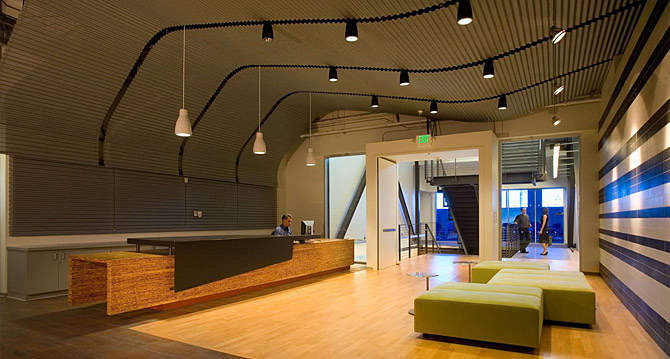 The top 2010 Livable Buildings Award from the University of California, Berkeley’s Center for the Built Environment was awarded to the transformation (entryway shown in the photo above) of the shell of a former manufacturing plant near UC San Francisco’s new Mission Bay research campus into environmentally and user friendly offices. The renovation, which included a full seismic upgrade, incorporated high-performance glazing with operable windows, sustainable finish materials, water conserving strategies, and efficient mechanical and lighting systems. The open perimeter is dedicated to open workspaces to maximize views, daylight, and natural ventilation. Private offices and core zones are grouped to create a central “boulevard” open to reception and conference areas. Gary Chan, a Hong Kong Architect, has created an very cool modular apartment (32 square meters) that can transform into 24 different rooms using sliding walls. His latest effort, which took a year and cost just over $218,000, he calls the “Domestic Transformer.” The allusion to toy robots seems apt, given the science-fiction quality of the color scheme – mostly black and silver, washed in eerie yellow light.